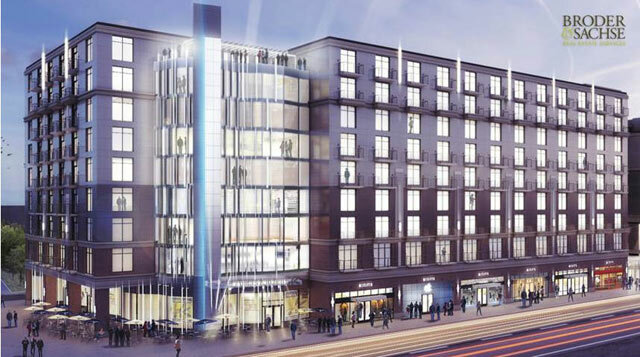 Detroit— A $60 million apartment, retail, hotel and conference center is slated for Midtown following approval Friday by the Wayne State University Board of Governors. The board approved a memorandum of understanding and long-term lease with Broder & Sachse Real Estate Services, which will develop the 1.5-acre site at Cass and Canfield that is now a parking lot. The project is proposed to include 248 apartments, 19,000 square feet of retail space, a hotel with up to 120 rooms and a conference center with capacity for 300 people. Construction is expected to start late next fall, with completion by 2016. The complex is expected to be near the car-sharing service Zipcar and a proposed M-1 light rail stop. DetroitProgress.com is in the business of real estate investing in low-middle income housing within the Detroit area. We will be actively marketing both our wholesale and retail homes on the website along with updates on our progress. Our long term goals will be to provide low income housing to investors for the purposes of rehab, fix and retail single family homes, and acquire a large portfolio of residential homes.